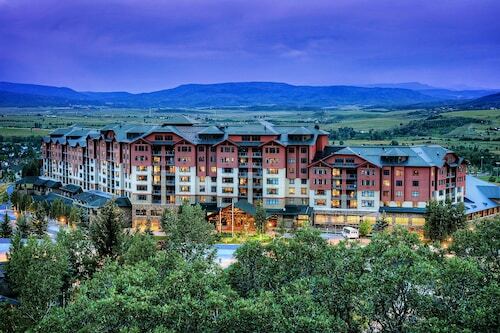 Facing Mount Werner in Steamboat Village, this resort hotel is across from Ski Time Square and the Steamboat Gondola, and three miles from downtown Steamboat Springs. 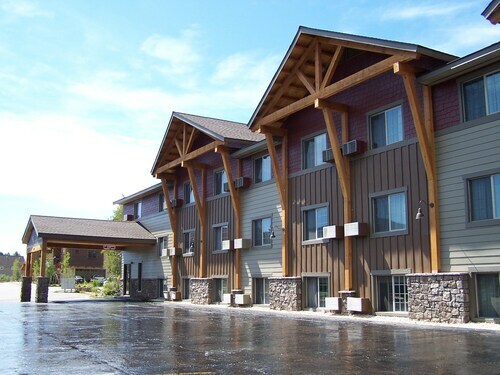 Located in the mountains, this ski-in/ski-out hotel in Steamboat Springs is within 1 mi (2 km) of The Tennis Center at Steamboat Springs and Steamboat Ski Resort and close to winter sports such as cross-country skiing and skiing lessons. Amaze'n Steamboat Family Fun Park and Yampa River Botanic Park are also within 3 mi (5 km). 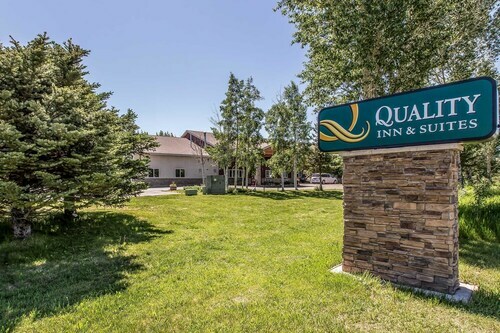 Situated in Steamboat Springs, this hotel is within 1 mi (2 km) of The Tennis Center at Steamboat Springs and Steamboat Ski Resort. Amaze'n Steamboat Family Fun Park and Haymaker Golf Course are also within 2 mi (3 km). 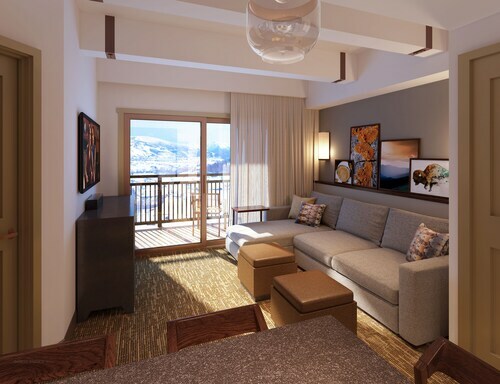 How Much is a Hotel Room in Steamboat Ski Resort? 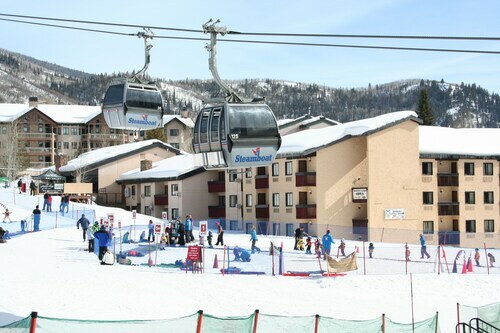 Hotels in Steamboat Ski Resort start at $59 per night. Prices and availability subject to change. Additional terms may apply. Few places in the world feature year-round excitement, but Steamboat Springs is one such city. Nicknamed "Ski Town, USA," Steamboat Springs is a winter wonderland and a summer playground prized for its wealth of outdoor recreation. In the span of a few months, you can launch your mountain bike down winding mountain trails and glide down the same slopes on your skis or snowboard. And, with a stay at one of the many hotels in Steamboat Springs, you can experience all of that, as well as the city's rich history of ranching, mining, and homesteading. Steamboat Springs hotels are celebrated for their comfort and hospitality, but the city likes to keep its visitors active. With state parks, nature trails, and hot springs galore, the odds are you won't be spending very much time indoors, no matter how comfortable your accommodations are. Cycle down one of the city's hundreds of miles of mountain trails or road track. Trade those wheels in for skis when the snow falls and experience the kinds of slopes that have produced dozens of the country's leading winter athletes. If you're a more sedate traveler, Denver flights are cheap and frequent, so get to the state capital and take an easy three-hour drive to Steamboat Springs to experience the city's rodeos and carnivals. Steamboat Springs hotel deals bring you face to face with the state's bounty of beautiful scenery and lush wildlife, as well as locally-sourced cuisine—available at your fingertips through one of many specialty restaurants in the city. Using wild game and produce as ingredients, the chefs in Steamboat Springs present culinary delights that honor tradition and push innovation. Sticking to the city's main thoroughfare of Lincoln Avenue, you're bound to find restful places to stop after a long day outdoors. These restaurants serve up slow-roasted Buffalo meat, venison sandwiches, marinated trout fillets, and more to soothe tired muscles and fill empty bellies. Get amazing deals on Steamboat Springs vacation packages through Travelocity's mobile app, and start planning your next mountain retreat. Absolutely wonderful experience! Hands down, favorite place to stay in Steamboat. Super affordable, great location, very clean, friendly staff. The pool, hot tub, and free breakfast are awesome perks! The rooms with the jacuzzi and fireplace are perfect for a relaxing and romantic vacation. We had a great stay at Steamboat Hotel. It is only a 6 minute drive to the slopes, and very close to a lot of restaurants and bars. We would stay here again. 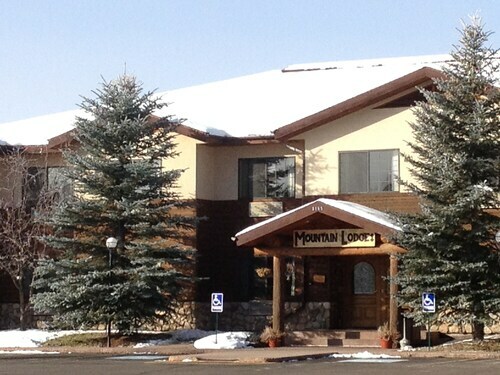 Staff is friendly; convenient restaurant food is great; Indoor pool and hot tub. Luxurious hotel. Great staff. Loved everything about the place.